Make doing business easy. For all your last-minute presentations in the dead of night when that deadline looms, contact The Knight Printing. Specialising in high quality, convenient and efficient service, The Knight Printing caters to all your printing needs, 24/7, every day of the year. Based in London, The Knight Printing makes use of state-of-the-art technology to produce a range of services quickly and expertly. 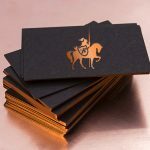 Small or large format printing, such as, booklets, business cards and binding and legal printing of sensitive materials are no problem for The Knight Printing, who also does luxury printing on paper of your choice, design and artwork, litho printing and branded gift items. Lithographic printing is ideal when you have a higher volume to print and longer turnaround time. The Knight Printing also offers finishing a colour matching or projects as well as advice on the most cost-effective options. Priding themselves on impeccable service and a strong work ethic, The Knight Printing oversees each stage of the printing process to ensure quality service. 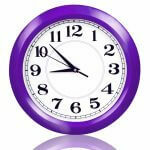 They also do deliveries if your order is placed by 10pm. Secured delivery services ensure that your project arrives whenever you’re available to collect and as soon as you need it. There’s no need to worry about your delivery being lost or stolen, as deliveries are made through secured delivery. All packages are tracked, which is not only secure but also allows you to know where your delivery is, at every moment of its journey. Working with The Knight Printing not only ensures that your printing project is handled professionally and with high quality, you’re also ensuring it’s done responsibly and is contributing to environmental protection. The Knight Printing donates to Woodland Trust and well as WWF. They also make donations to charities, such as Save the Children. The Knight Printing has over a decade of experience providing reliable and superior service. Making use of advanced technology, enables the dedicated team to provide a wide range of services, in excellent time. Having on-site equipment means The Knight Printing manages heavy workloads effectively and can the team can be there to oversee each detail. 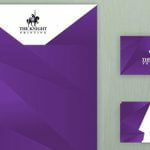 The Knight Printing services are available in Canary Wharf, the business hub in East London. The Knight Printing has accomplished a wide portfolio of clients in Canary Wharf over the years. Services are also available in Westminster, the heart of London, as well as, the city of London. For a free quote, visit the web page and fill in the short form.